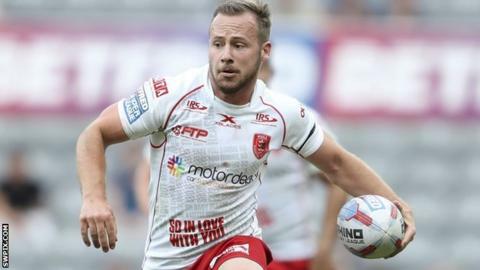 Hull KR full-back Adam Quinlan has signed a new contract, which will keep him at the Super League club until the end of the 2020 season. The 25-year-old has scored 16 tries in 32 appearances for the Robins since joining from National Rugby League side St George Illawarra last year. Quinlan's new deal at KCOM Craven Park has the option of being extended to a third year. "I've got keep repaying the faith shown in me," he told the club website.